'Twas the day before Christmas and Santa was ill. In the cold winter wind he had caught a bad chill. Will Christmas be canceled? Will it come to that? "Let's call Pete the Cat!" In this rockin new spin on the traditional tale The Night Before Christmas, Pete the Cat proves that giving your all in the spirit of Christmas is the totally groovy thing to do. 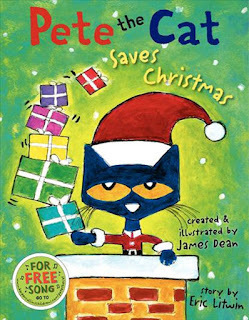 Cloud 9 has a limited number of Pete the Cat Saves Christmas books. Go online using the following link and pre-order your book today!! We will call you to pick it up in the store. Choose in-store pickup at checkout to avoid shipping costs. 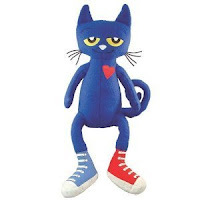 Don't forget your Pete the Cat plush doll! !